How do you value the Customer Experience Executive role? A week or so ago, I was having a conversation with the SVP of Customer Service for a well known SaaS software company when the conversation turned to determining what value a Customer Experience Officer role would bring to their organization. This was a company that clearly gets the importance of the total customer experience, but had not quite reached a size where they felt a full time role was justified. The conversation hounded me for days. And as I thought about how a company justifies the creation of a full time customer experience executive position, these are the questions I imagine are often asked. Satisfying customers will always be important. Think about it! No customer becomes loyal without first being satisfied. But Customer Satisfaction metrics only represent a customer’s opinion of you at that moment in time instead of looking at your entire body of work. These metrics can often times be discrete measures of specific touch points, such as “how satisfied are you with our product” or “rate your satisfaction with our Knowledge Base”. A customer may rate each of these isolated interactions high, but what if the experience of going from the product to the KB is kludge? Remember, satisfied customers will always come back to see what you have to offer but also are just as likely to check out your competitor! Building a complete customer experience that creates loyalty will keep them from shopping elsewhere! A User is just that: someone using your product or service. A Customer is someone continuously evaluating you based on the total experience. having an emotionally, psychologically, and physically connection. Someone using your product or service may like what’s right in front of them but not necessarily be committed to the long term. Almost like “Yeah, he/she is fun to hang out with, but I wouldn’t bring them home to meet my parents”. Someone in your organization needs to be looking at the total lifecycle of touch points your customers have with you, not just how to go seamlessly from screen to screen in your product. It’s hard to believe anyone would dispute the long-term value of a superior customer experience. Many studies have been done quantifying increases in retention and revenue from companies that exhibit world-class effort on achieving an awe-inspiring customer experience. But the ROI doesn’t have to take years to realize. Making the leap to dedicate someone full time can bring immediate, short-term benefits companies often overlook. Companies may have top-down commitment on being customer focused but is their alignment amongst the executives and senior managers on exactly what that means? People may be working hard to build a great customer experience within their own silos but the glue that holds them all together is a well-defined customer experience roadmap. With the input from others, a customer experience executive can bring exceptional focus to defining and shaping that roadmap and clarity and organization to achieving success. Sustainability of customer experience improvement efforts is always a challenge. Kick off meetings and initial efforts to begin making improvements can soon lose their momentum as people go begin slowly gravitating back to their day jobs. Unfettered by anything else, the customer experience executive’s “day job” is just that: making sure the organization’s commitment to the roadmap remains top of mind. And finally, there’s always the bottom line! Accountability for defining and measuring results is often overlooked on cross-functional efforts to improve the total customer experience. And while the customer experience executive can provide that single “ring-able neck” for the definition and reporting of customer experience improvements, it does not necessarily make them solely accountable for the results achieved. In a company that defines themselves as “already focused on the customer experience from the top down”, everyone from the executives on down are responsible for the actual results! Companies at the top of the lists for revenue growth and customer satisfaction already recognize the long-term value associated with a dedicated executive at the helm of the customer experience. But they didn’t wait to achieve these results before bringing them aboard! 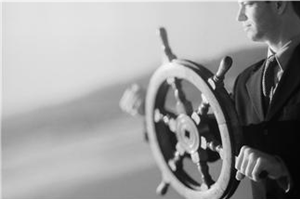 Can your company afford not to have someone with their “hands on the wheel” today? Larry Streeter is a contact center / customer experience executive with 20+ years experience building award-winning customer support organizations that drive customer long-term value through the contact center. His passion for delivering an extraordinary customer experience, building scalable infrastructure while increasing shareholder value, and developing top performing teams as well as future leaders has helped world-class companies achieve significant growth and customer satisfaction.